Q) What is Display Size of Honor 8 Pro? Q) Does Honor 8 Pro come with Gorilla Glass? Q) what is Processor and GPU on Honor 8 Pro? Q) RAM and ROM on Honor 8 Pro? A) Two variants 6GB RAM , 64GB Storage and 6GB RAM + 128GB storage. Q) Where is the fingerprint scanner on the Honor 8 Pro located? Is it touch based? A) The fingerprint scanner on the Honor 8 Pro located at the rear, and yes, it is touch based. Q) How many fingerprints can one register on the Honor 8 Pro? Q) Does the Honor 8 Pro feature native fingerprint app locking functionality? Q) Rear Camera on Honor 8 Pro? Q) Front Camera on Honor 8 Pro? Q) Can you record slow-motion videos on the Honor 8 Pro? Q) Does Honor 8 Pro can record 4K Videos? Q) Does Honor 8 Pro support MicroSD Card? A) Honor 8 Pro features a hybrid SIM/microSD card slot. This means that you can either use 2 SIM cards or a microSD card and 1 SIM card on the phone at any given time. Q) How much free storage space does the Honor 8 Pro has out of the box? A) Yes, you can uninstall or disable some of the pre-installed apps on the Honor 8 Pro to free up space on the internal storage on the device. A) Android 7.0 Nougat with Huawei’s Emotion UI 5.1 on top of it. Q) Will the Honor 8 Pro get the Android O update? Q) Are the on-screen navigation keys on the Honor 8 Pro customizable? Q) Does the Honor 8 Pro support LTE and VoLTe networks? Will a Reliance Jio SIM work on the phone? Q) Connectivity options on Honor 8 Pro? Q)Does Honor 8 Pro has an Infrared sensor? Q) Does Honor 8 Pro comes with USB Type C? Q)Honor 8 Pro Dual 4G Support? Q) Dimensions of Honor 8 Pro? Q) Weight of Honor 8 Pro? Q) Is Honor 8 Pro water resistant? Q) Honor 8 Pro comes with 3.5mm headset jack? Q) Sensors on Honor 8 Pro? Q) What contents do you get inside the retail box of the Honor 8 Pro? Q) How much is Battery on Honor 8 Pro? 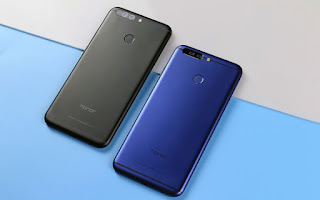 Q)Honor 8 Pro has Non-Removable Battery?A) No, since the Honor 8 Pro features a unibody aluminum build the battery, and the back cover is not removable. Q) Is Quick charging supported on the Honor 8 Pro? Q)How is the call quality? Q) What colors is the Honor 8 Pro available in? Q) Honor 8 Pro India price and launch Date? Q) Where to Buy Honor 8 Pro in India? A) Honor 8 Pro will be exclusively available on Amazon. I have purchased instead of One plus 5 assuming that 30K phone will support it... But it didn't. I asked Huawei team, they clearly told me that they didn't support for video call right from the dialer, u have to install 3rd party app. And this is disappointing for me as i am a regular user of video call from Jio to Jio sim on my J7 without installing any third party app. Lets hope they understand it later, and provide an update regarding this.